Littleport is a large village in the Fens of Cambridgeshire, England, approximately 6 miles north of Ely and 6 miles south-east of Welney. Littleport was the site of the Littleport Riots of 1816. War-weary veterans from the Battle of Waterloo had returned home, only to find that they could not get any work, and that the grain prices had gone up. They took to the streets and smashed shops and other buildings until troops came to put an end to the riots. Today visiting boaters can enjoy the hospitality of The Swan on the river with visitor moorings. 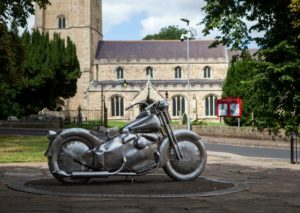 A famous son of Littleport is William Harley father of William Sylvester Harley co-founder of American motorcycle company Harley-Davidson he was born in Littleport in 1835. A monument commemorating the Company’s centenary is located in the town. There are also a selection of other stores, butcher, baker, haberdashery, several hairdressers and estate agents.